Fantastic Fantastic Fantastic– Just no other words. Justme plays from his heart. You can feel the love he has for the music he plays. Nothing pretentious about him at all. 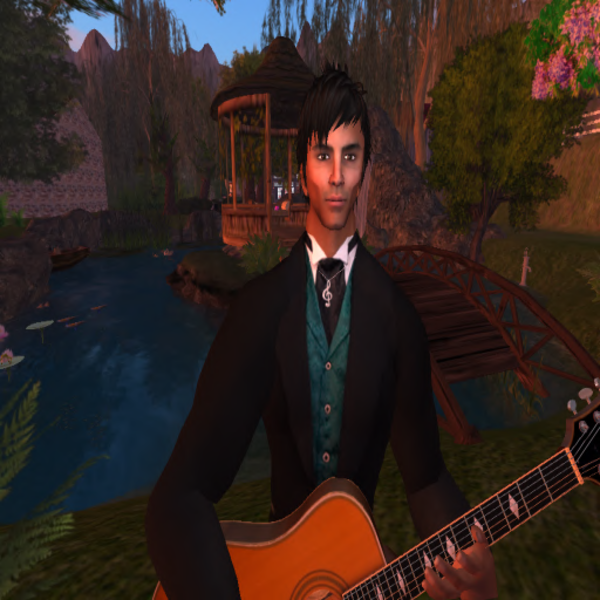 In fact, he will tell you that seeing you enjoy what he loves to do is worth more than all the lindens in SL. “It’s all about the music” is another phrase he likes to use. When you see “All Live, All Acoustic, All Justme” in his notices, you get exactly that. A very enjoyable show. I recommend Justme Carlucci to everyone who likes good wholesome acoustic guitar with a real down home feel. Good old Oklahoma Homegrown music! Nothing better! Warm and authentic. A wonderful performer and equally wonderful human being. Not to be missed!